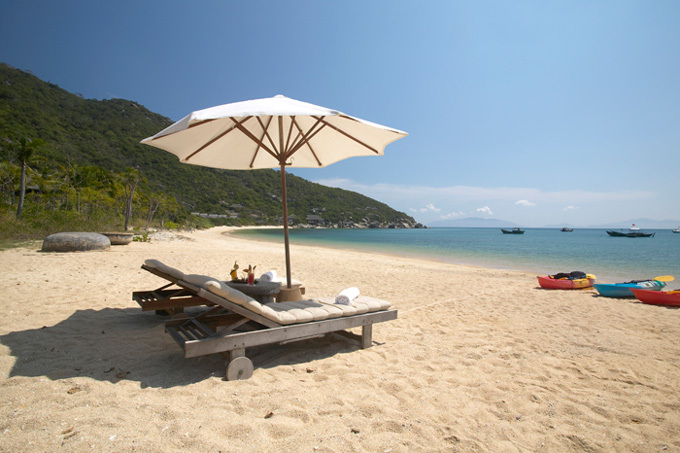 Home / Blog / Is January the best time to visit Nha Trang? 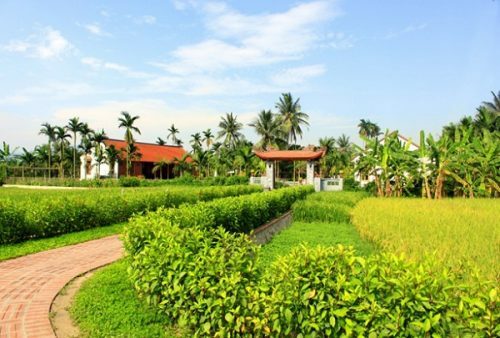 Comprised of many beautiful cities located in it, Vietnam, which is an extremely beautiful place marked by Mother Nature’s blessings, is a must-visit country. 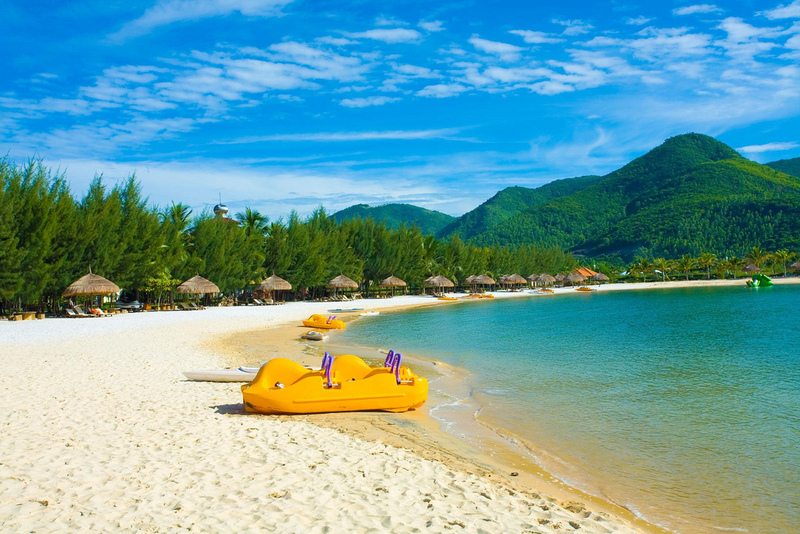 There are various cities complimenting Vietnam’s exceptional beauty and Nha Trang is one of the cities which are well known among travelers for its charm and tourist attractions. It is the beach that adds to the moderate climate of the coastal city which is quite favorable for travelers and enhances the sceneries’ beauty complementing the picture of the city. Being the capital of Khanh Hoa province of Vietnam, Nha Trang is a part of the South central coastal region of Vietnam. 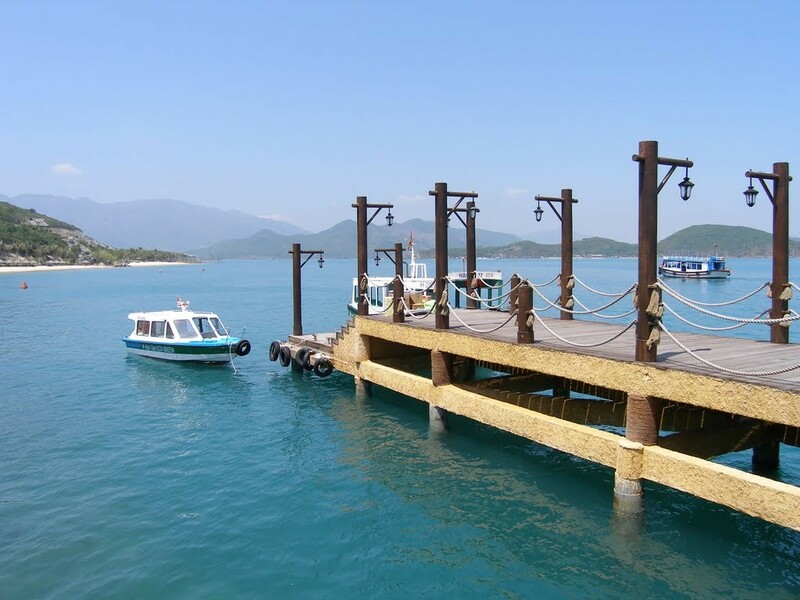 This city is quite famous thanks to the presence of the beaches and it’s the scuba diving that attracts a large number of tourists from everywhere of this world to go to Nha Trang. Considered as one of the most beautiful bays of Vietnam, the bays of Nha Trang produce the perfect pictures completely soothing your heart and soul. 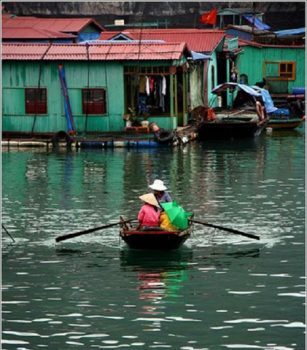 Located on the beautiful region of the Nha Trang Bay, The city itself is quite beautiful with the very soothing climate. Geographically, three sides of the bay are surrounded with mountains while the other side is covered with a really charming island. Can you imagine the nice and cool climate with the air flow of the beautiful place? Having a lengthy dry spell of weather from the month of January until august and comparatively short wet season only from September to December, this city is the thought to be the best holiday destination for swimmers. With trees and greenery serving all over the city, the climate is typically a tropical savanna climate. January – the first month of the year also marks the beginning of dry season in Nha Trang, which lasts for eight months from January until August. There is no change compared to December, the precipitation level drops to 24mm, only one sixth of what it is in the previous monththus reduces the chances of the rains or storms that can come while temperature keeps ranging from 22 to 27 degree Celsius. 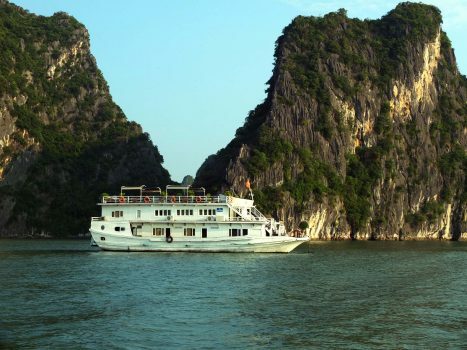 The moderate temperature is about 22- 27 degree Celsius thus giving you a moderate temperature to enjoy a luxury Indochina tours with your friends or family. 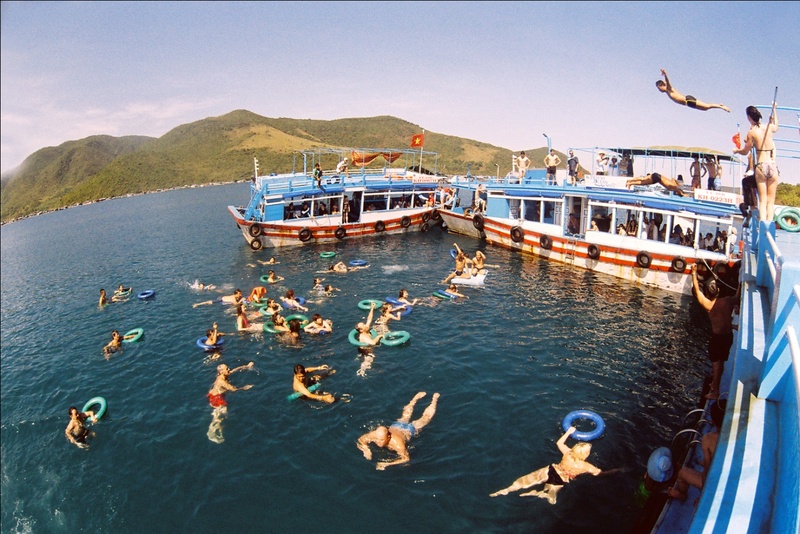 What to expect if you travel to Nha Trang in January? Even though it is rather warm and sunny for all month, sun-bathing and swimming in Nha Trang these days may not in be the best condition that you would wish for. It is also possible for you to spend time on sight-seeing and other interesting physical activities such as climbing and hiking. A good place for both climbing and sight-seeing is Hon Chong (Chong Island), a seashore rocky complex consisting of various rocks at various sizes and shapes overlapping each other. From here, you can definitely admire the enchanting scene of majestic mountains and immense sea. 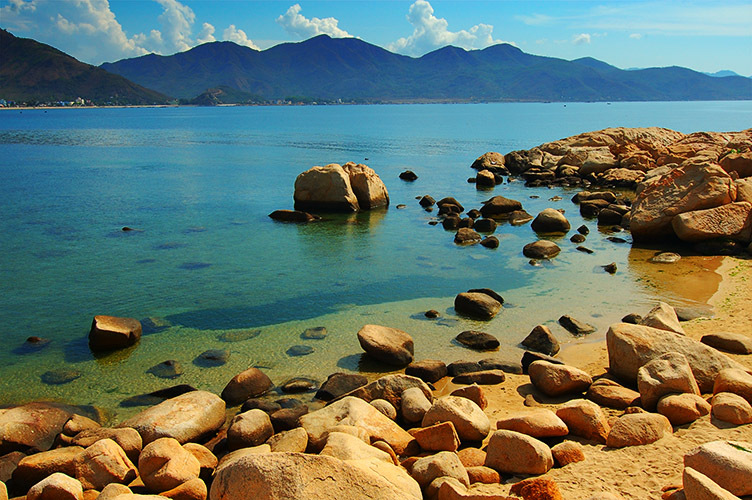 Moderately dry and warm weather makes January such an ideal time to pay a visit to Nha Trang.